The rise of Mid Ulster’s gaelscoils is dramatically changing the face of local education, according to the latest figures from the Department of Education. Enrolments at some of the Irish language medium schools in the local district has increased five-fold in the past three years, the highest rate in Northern Ireland. The number of pupils attending Cookstown’s Gaelscoil Eoghain has jumped from 13 in 2013, to 67 this year, while pupil numbers have also increased significantly at Gaelscoil Aodha Rua in Dungannon, from 12 in 2011 to 88 this year. 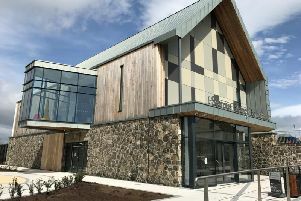 St Joseph’s Grammar, Donaghmore added an Irish Medium Stream in 2010, which has also proved popular with local parents. Coalisland’s Gaelscoil Uí Neill has the largest enrolment of the Irish medium schools in Mid Ulster, and the third highest in the North, with 189 pupils in total. According to the figures, there are currently 467 pupils in the district’s Irish primary schools, with 256 in Coalisland and Dungannon’s schools, 67 in Cookstown’s and 144 in Magherfelt’s. The number of Northern Irish pupils being taught through Irish has almost doubled in the last 10 years to just under 5,000 - 830 are in secondary education. 72% of all Irish-medium primary schools are independent, outside of the controlled or Catholic-maintained sector and have pupils from Catholic, Protestant and other backgrounds. International research shows that bilingual pupils have a greater tolerance of other cultures, something which is most relevant to the principles of shared education. Research commissioned by the Department of Education for Northern Ireland (Deni) has indicated that Irish-medium children were more open to cultural diversity. Proponents of Irish-medium education says it offers a system which improves children’s skills in English and Irish, making them more tolerant while also providing the skills to learn further languages with greater ease. However, in spite of the hike in enrolments many of the schools still have empty desks to fill, with a total of £1.5million spent last year on Mid Ulster’s Irish medium schools. Of the five Irish speaking schools in the local area, only one is above the minimum enrolment number.